Thank you for choosing TLC Pediatrics LLC for your child’s primary needs. Below please find a detailed description of our policies and procedures to help you navigate your visit and your family’s primary care experience. You can reach our office at (301) 352-6515. We encourage all parents /guardians to schedule a complete annual exam at a time when they’re child is physically well. The primary goal of the annual well (physical) is to focus on preventive health care and to discuss measures to ensure your child’s continued wellness. If your child is sick or have health problems please wait to schedule their physical. We may ask you to schedule a follow-up visit at a later date to discuss abnormal results of test ordered during the exam. We will address these issues during a separate office visit so we have the time to focus on each individual problem. If other issues arise during your child’s physical, you will be responsible for any co-pays or deductibles at the time of checkout. Please note: Most insurance plans offer only one annual exam yearly (child must be seen the date after last well exam or after). In the case that you would like your child seen before the annual date a fee (see billing department for details) will be collected at check in and submitted to your insurance plan for payment. After payment from insurance plan, we will reimburse you your owed amount from our office (allow up to two months for the claims to process). 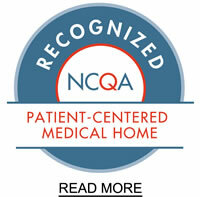 A follow-up visit is intended for managing chronic conditions and discussion of abnormal test results. We recommend regular medical care for the management of chronic conditions such as, but are not limited to, asthma, allergies, diabetes, high cholesterol, obesity, ADHD and etc…. Generally, these conditions require careful monitoring and follow-up visits every 3-4 months. We will use these visits to assess your child’s progress, order and evaluate any test, and change or refill your medication. Please note: care for chronic medical conditions should be addressed outside of the annual physical. Also, refill request will not be honored if the child has not been seen. An urgent visit is for an acute or new concern. During these visits, we will fully address your child’s acute problem, order necessary test, and establish a treatment plan. We may ask that you schedule a follow-up visit at a later date to be sure your child has fully recovered and/or to discuss any test results. A nurse visit is for immunization only, weight checks, tuberculin skin test placement and readings or pku screening. You will not be seeing the providers at this appointment. If you have a question or concern regarding your child please make the front desk staff aware prior to your appointment, so that we can ensure the schedule has flexibility to schedule your child for a urgent/ sick visit. insurance. We are unable to waive this payment, as it violates the contract we signed with your insurance company and is solely the patient’s responsibility. Your co-pay is due for any visit in which you see a physician or physician assistant. A deductible is a specific amount charged to the patient by their insurance company. This amount must be paid before the insurance company will pay a claim. It is TLC policy to collect any co-payments, co-insurances and/or deductibles at the time of each visit. (Newborns) If you have just delivered a newborn don’t forget to add your new addition to your insurance policy. Some insurance plans do offer newborn coverage for the first 30-60 days of life. However, we do not abide by those plan benefits. TLC Pediatrics will collect a fee of $200 for all newborns that are not showing on the policy by the first visit. We accept cash and all major credit cards. All balances are due in full prior to being seen by the providers. If you are unable to pay your balance in full, please contact our office prior to your child’s appointment. If a balance is unpaid after 180 days you may be asked to reschedule your appointment to a later date – and your account may be at risk of being sent to a collections agency. We encourage you to familiarize yourself with your insurance benefits before your child’s appointment. If you are not sure how to obtain this information please take advantage of TLC’s insurance benefit service by calling (301) 352-6515 this service is available Thursdays (9am- 12 pm). We expect our parents to take responsibility for their child’s appointments. We encourage all parents to register for the patient portal. One of the perks to the patient portal is you will get email reminder notifications five days and the day before your child’s appointment. For a 15min grace period to apply to your child’s appointment the office must be notified. If the office has not been notified please expect to reschedule your child’s appointment, your time slot is no longer guaranteed. We will make every effort to reschedule your appointment for another available slot later the same day. We kindly ask that you give us at least 24- hours’ notice when cancelling an appointment. WELL CHILD APPOINTMENTS that are missed and are not cancelled at least 24- hours before the appointment time and 1- 2 hours before SICK/ OFFICE APPOINTMENTS, will result in a $30.00 “no show” fee. We respect all of our patients’ time and strive every day to run on time for each appointment. Due to the unpredictable nature of our appointments and the complexity of our patients’ problems, you may, on occasion, have to wait to be seen. Please understand that we strive to give quality service to all our patients and will provide that same care and attention to you. If a patient arrives after you but is taken to an exam room before you, this most likely means that they are seeing a different provider or have and illness or urgency. All vital signs will be taken at every visit, other than for a simple blood draw. Vital sign measurements for three years of age and older include weight, blood pressure, pulse oximetry, and temperature. Under three years of age temperature, weight and pulse oximetry will be obtained. All lab and test results will be relayed to you within a maximum of two weeks. If you have not heard from us via phone or e-message through the patient portal within this timeframe please call the office. Any result that was faxed to the practice will not be accessible on the portal, i.e. radiology reports. Tests that were ordered by other physicians and providers that are not part of our practice will not be visible on the portal, but still remain a part of your health record. If your results are abnormal and we need to discuss them further with you, the providers will request that you make an appointment. The providers see patients throughout the day and the best way to ensure that you have adequate time to discuss abnormalities and subsequent treatment plans is to make an appointment. If you need to reach a provider during the business day, please call and leave a message with a member of our front desk staff. All messages will be returned accordingly. Messages that are left during the business day will still be returned after hours. Please remember that the providers are busy during the day with other families. If you feel that your message is of urgency, please schedule an appointment. We will happily refer you to specialists based on your child’s medical conditions. Ideally, this should be done during the office visit when we address that specific concern. If you have not been seen by our providers for this condition, we may ask that you make an appointment with our office before requesting the referral. When calling to request a referral, please be prepared to give us the doctor’s full name, address, telephone number, fax number, specialty, if the specialist is not listed in our system. Please allow five (3) business days for the office to complete your referral request. Provide the front desk with any forms or letters requiring provider documentation after completing your portion of the form. We are unable to accept responsibility for any forms left at the office without a name and valid date of birth. Please note that some forms may require you to be seen by a provider before completion. In this case you will be asked to schedule an appointment. There is a $15 fee for all forms and letters. This fee must be paid prior to form completion or the generation of the letter. Please allow five (3-5) business days for the office to complete your forms request. Documents can be mailed via postal mail if a paid self-addressed envelope is provided to TLC Pediatrics. Unfortunately, we do not fax or email documents due to HIPAA. When the office is closed after hours, weekends, holidays, or inclement weather, we will always have a provider on call. You may reach this provider by calling the main number to the office and then following the prompts to reach the on-call service or dial 443-481-3185 directly. Please reserve this service for urgent medical concerns only. In the event of a medical emergency, call 911. Do not use this service for prescription refills, referrals, lab results, or appointments. These will not be addressed after hours and will have to wait until the following business day. When calling the on-call service, please be sure you provide a working telephone number as our providers will be unable to reach you otherwise. If you have a question regarding your TLC Pediatrics bill please contact the office at 301-352-6515 and select prompt #3. Questions regarding bills from laboratories such as Quest Diagnostics, LabCorp, or Medical Diagnostics must be addressed with those companies specifically. We do not have access to their billing policies or patient accounts. 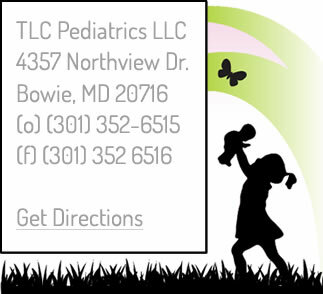 TLC Pediatrics employs a variety of methods to stay in touch with our patients. Alternatively, if you ever have a comment, concern, or other question, please do not hesitate to call our Patient Satisfaction Specialist and Office Manager, LaCresha Holland, at 301-352-6515.